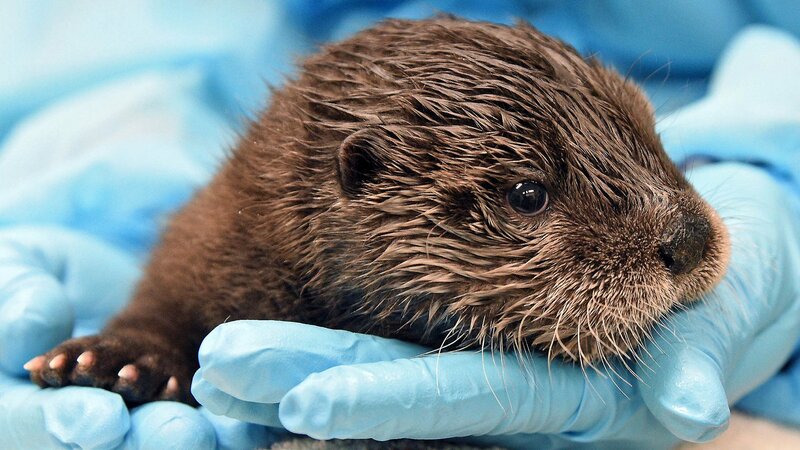 A North American river otter pup born in February at Brookfield Zoo is being hand-reared by staff because the pup’s mother was unable to provide him with proper nourishment. The decision was made shortly after the pup’s birth on Feb. 26. Because the male pup had been separated from his mother, Charlotte, for an extended period of time, staff determined it was unlikely that she would accept him back as her own. As such, the zoo is coordinating with the Association of Zoos and Aquariums to relocate the pup to another location that has young otters, which staff say will provide him opportunities for companionship and socialization. The pup’s arrival marked the zoo’s second successful birth for this species, which was endangered several decades ago but has since rebounded. In 2017, Charlotte and her mate, Ben, had their first litter, which produced a male and a female. Those otters now live at other North American zoos on breeding loans based on recommendations from the species’ survival plan, a conservation program managed by the AZA. The program oversees the breeding of otters in zoos across the continent to maintain a healthy and self-sustaining population that is genetically diverse. The otter population in Illinois dropped to fewer than 100 estimated individuals in the late 1980s, according to the Illinois Department of Natural Resources. But otters are now common and found in every county in the state, thanks in large part to a successful recovery program that included relocating otters from Louisiana to southern Illinois, along with expanding populations in neighboring states.